activities and to encourage participation. This will reinforce union solidarity. 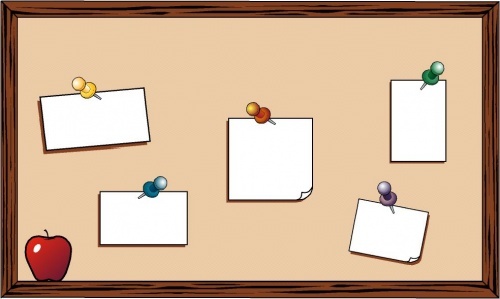 Keep your workplace bulletin board updated! your Regional Vice President and ask her or him to help you. Tell members, if called into a meeting with management, they should say: "If this discussion could in any way lead to my being disciplined or terminated, I respectfully request that RVP be present at the meeting. Without representation present, I choose not to respond to any questions or statements." Members expect you to know more about the union than they do. You don't have to memorize the contract cover to cover, but you should familiarize yourself with the parts that are used the most. If a member asks you anything make sure you provide them with the best information possible and do not make up answers. If you do not know find out and get back to them. If an issue or concern arises, get all the details facts. Who's involved? What exactly happened? When? Where? Why? Before you pass along the information, make sure you know exactly what's going on. Talk to everyone involved, find potential witnesses be a detective. Involve as many people as possible. Our power as a union comes from the involvement of the members. Leadership is not about doing everything for everyone; it's about getting everybody to stand up for themselves by standing together.